Breakingviews - Viewsroom: What’s driving Lyft’s valuation? NEW YORK (Reuters Breakingviews) - The ride-hailing firm is worth $30 bln after its stock-market debut, even though its losses are growing. Shareholders are betting a shift to autonomous driving will steer it to a profit, but that may be a long way off. Plus: Saudi Aramco lets investors drill into its finances. Breakingviews - Viewsroom: Who will drive off with Fiat Chrysler? NEW YORK (Reuters Breakingviews) - Peugeot and Renault both seem keen to merge with the Italo-American carmaker. Either deal could improve earnings from smaller cars, but couldn’t plug all Fiat Chrysler’s gaps in Asia and new tech. Plus: Apple’s underwhelming new services. And can Huawei’s charm offensive succeed? NEW YORK (Reuters Breakingviews) - Putting Deutsche and Commerz together might create a national banking champion. A more likely outcome, though, would be a poorly performing behemoth. Meanwhile, Volkswagen boss Herbert Diess commits the mother of all CEO gaffes. Plus: sizing up a Chinese housing unicorn. NEW YORK (Reuters Breakingviews) - Investors and companies are ill prepared for the rising scarcity of this most important natural resource. With World Water Day on March 22, Thirst CEO Mina Guli lays out the issues and explains why she decided to run 100 marathons in 100 days to draw attention to the problem. NEW YORK (Reuters Breakingviews) - Elon Musk’s balancing act requires some capital support. On Thursday evening the chief executive plans to unveil Tesla’s latest vehicle, the Model Y SUV. But it could steal sales from the Model 3 sedan, whacking Tesla’s earnings when it can least afford it. It’s a fresh complication as Musk fights with the Securities and Exchange Commission and flip-flops over store closures. A cash injection could help smooth the ride.  NEW YORK (Reuters Breakingviews) - The three-way takeover fight involving Newmont, Barrick Gold and Goldcorp is full of aggression and big egos. Breakingviews columnists unpick the gold-mining M&A frenzy and debate whether cooler heads can prevail. Plus: China telecom giant Huawei has a public-relations challenge. NEW YORK (Reuters Breakingviews) - Elon Musk is firing up the engine for a battle with short sellers. The Tesla chief executive is finally selling Model 3s for $35,000 a pop – and shutting most of the firm’s stores to pay for it. That means it will soon be clear whether he has indeed built the profitable mass-market electric-car maker that he has long promised, or a business fast running out of juice as his Wall Street foes contend. NEW YORK (Reuters Breakingviews) - Kraft Heinz’s poor earnings, $15 bln writedown and accounting investigation forced the Berkshire Hathaway boss to admit he overpaid for the nuts-to-Velveeta cheese purveyor. Breakingviews columnists discuss what went wrong. Plus: Trump buys more time in his China trade spat. NEW YORK (Reuters Breakingviews) - Foreign carmakers are closing some UK plants as lawmakers defect from both the Labour and ruling Tory parties. How will this affect the looming deadline to quit the EU? Plus: Vegan diets are more than a fad.